PLC with control panel Touch Screen Color. Displaying all the information on the function and any mulfunction. Frame and conveyor belt are made of stainless steel AISI 304. Cams are specially built against the effects of friction. All security systems to ensure operator safety and to optimize the production. Gears and chains have been specially selected to minimize friction and wear. Frequency converter allows easy adjustment of speed. Intermittent operation backward/forward for production testing. Management with separate electric motor for easy control the sizes of X – folding (wide/narrow). 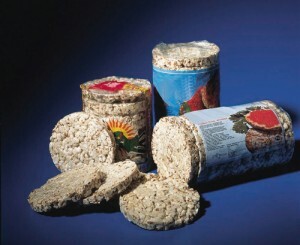 Based on the rice cake size and the type of wrapping material. Min. 25 micron – max. 40 micron. 380V + Neutral + gnd – 50Hz – 3 Phases. 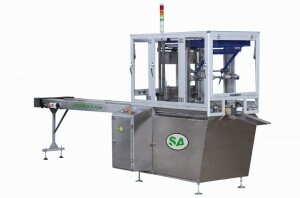 6 bar – 200 l/min.